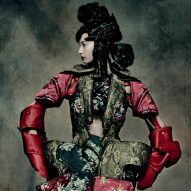 The sculptural clothes of enigmatic Japanese designer Rei Kawakubo are the subject of this year's spring exhibition organised by the Costume Institute at New York's Metropolitan Museum of Art. 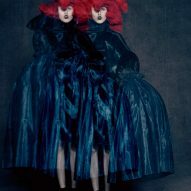 Rei Kawakubo/Comme des Garçons: Art of the In-Between is the museum's first monographic exhibition on a living designer since Yves Saint Laurent in 1983. 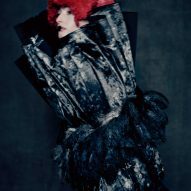 It includes over 150 garments – designed between the 1980s and now – that demonstrate her avant-garde ideas, her attitude towards fashion as an extension of the body, and her impact on the industry. "Season after season, collection after collection, she upends conventional notions of beauty and disrupts accepted characteristics of the fashionable body," said curator Andrew Bolton. "Her fashions not only stand apart from the genealogy of clothing but also resist definition and confound interpretation." 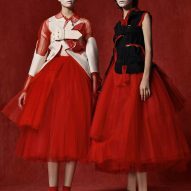 The exhibition is spilt into nine themes that each examine a duality found in Kawakubo's designs, which lie somewhere between art and clothing. They are titled Absence/Presence, Design/Not Design, Fashion/Antifashion, Model/Multiple, High/Low, Then/Now, Self/Other, Object/Subject, and Clothes/Not Clothes, some of which are also divided into a number of sub-categories. 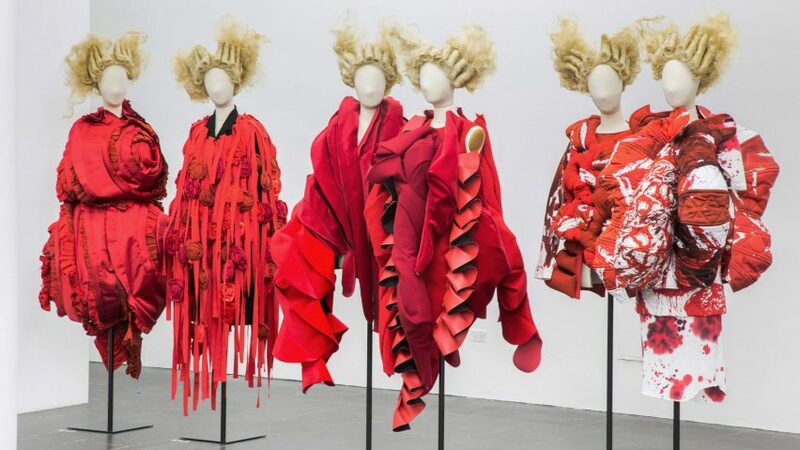 Sections include examples of Kawakubo's interpretations of the Japanese concept of "kawaii" – or cuteness – her blurring of clothes for weddings and funerals, and fusion of conventionally male and female apparel. 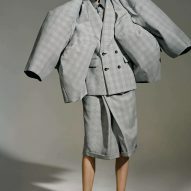 The garments, many of which have wildly exaggerated silhouettes, are also grouped by colour rather than age to further emphasise the connections across her catalogue of work. 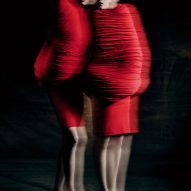 "Kawakubo's art of the 'in-between' generates meaningful mediations and connections as well as revolutionary innovations and transformations, offering endless possibilities for creation and re-creation," Bolton said. 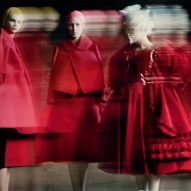 Since Kawakubo started her Comme des Garçons label in Tokyo in 1969, she has been reluctant to explain her work and remains elusive to this day. She also set up the Dover Street Market stores, which sell clothing and accessories by Comme des Garçons and a curated selection of other innovative designers in London, New York and Tokyo. Installations used to display the garments in these shops are regularly updated and overhauled, creating bespoke environments that relate directly to the clothes. 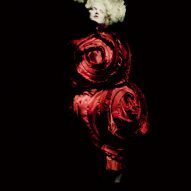 The Met exhibition design was a collaboration between Kawakubo and the museum's in-house team. The clothes are presented in and around a series of simple white volumes that vary in size and shape – many of which are open circles in plan. Bolton chose not to include texts beside the outfits so as not to detract from the designs – visitors can find out more in an accompanying booklet should they chose. Also, rather than using spotlights to highlight the garments, a lattice of fluorescent tubes across the ceiling creates a uniform light across the gallery. The exhibition opens to the public on Thursday 4 May 2017 and continues until 4 September 2017. Last year's show, Manus x Machina, focussed on the relationship between the handmade and machine-made, while the theme the year before highlighted fashion's obsession with Chinese arts and design. Gallery photographs are courtesy of The Metropolitan Museum of Art. 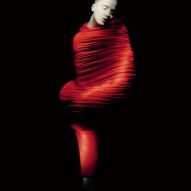 Catalogue images are by Paolo Roversi.